What unites COPLAC institutions are the collective educational missions that commit to providing superior liberal arts and sciences education to their students, evidenced by the allocation of resources and outcomes achieved. The following is a list of COPLAC member institutions with links to the home pages. Founded in 1889 and located in northeastern Connecticut, Eastern Connecticut State University is predominantly an undergraduate, residential campus, serving more than 4,300 full-time undergraduates and approximately 5,300 total students. Eastern offers 39 majors and 58 minors, a strong liberal art foundation and an array of applied learning opportunities. The University draws students from 158 of Connecticut's 169 towns, from more than 24 other states, and from 23 foreign countries. In addition to a growing Study Abroad program, Eastern was named one of the Northeast's Top Colleges by the Princeton Review, while Peterson's Guide to Honors Programs lists Eastern's Honors Program as "among the most active in New England." Eastern was recognized in July 2016 by the Chronicle for Higher Education as a "Great College to Work For" for the seventh time, and moved up seven spots in the U.S. News and World Report 2017 rankings to be rated the 26th top public regional university in the North . Eastern has also been recognized as a Green College by The Princeton Review and the U.S. Green Building Council for the seventh year in a row. Northern Vermont University-Johnson offers a hands-on, high-impact liberal arts experience, where students gain job-ready skills by conducting research alongside professors and completing internships in their areas of interest. Students graduate empowered and prepared to deal with complexity, diversity, and change through innovation — a critical career advantage in a globalized economy. The awareness and perspective students gain from coursework, internships, research, and extracurricular activities help expand their social awareness. Situated on 350 acres in the heart of the Green Mountains, Northern Vermont University - Johnson recognizes and supports the diverse starting points, backgrounds, and goals of students. NVU-Johnson is committed to sustaining high standards, active participation, vigorous debate, and mutual respect. With a 13:1 student faculty ratio and average class size of 17, students receive an individualized liberal arts education at Northern Vermont University - Johnson. Founded in 1909, Keene State College has a proud history of giving students access to the skills and tools they'll need for the rest of their lives. As a public liberal arts college, Keene State provides new ideas, new ways of thinking and connecting, and new kinds of interactions. Keene State has more than 5,000 students on its 170-acre campus and offers more than 40 majors as well as independent study, cooperative education, graduate studies in education, and international exchange opportunities. Keene State's four-credit curriculum and Integrative Studies program shape a strong sense of engagement and intellectual excitement. With an 18:1 student-to-faculty ratio, every student has access to professors, creating a scholarly community built on clear expectations and goals. At Keene State, skills, values, and concepts are developed across disciplines, teaching students to ask questions and research answers on issues fundamental to today's world. Community service and academic service-learning bring concepts out of the classroom and into the community, where students learn the value of partnerships and collaboration. Mansfield University is dedicated to a personalized education with all programs grounded in the liberal arts. As a small, public university, we are committed to promoting leadership development through character, scholarship, cultural awareness, and service to others. Though our passion for learning, we positively influence the world. Mansfield University is Pennsylvania’s Premier Public Liberal Arts University. Surrounded by Berkshire County’s vibrant arts scene and natural beauty, Massachusetts College of Liberal Arts offers students the experience of a small, private college at a public cost. MCLA fosters a tight-knit campus community and classroom environments that encourage engaging discussions, while combining rigorous academic training with broad opportunities for learning outside the classroom. MCLA offers professional programs in computer science and information systems, business administration, and education, as well as abundant research opportunities in programs such as biology, physics, and psychology. The College also offers new majors in athletic training and art, concentrations in pre-physical therapy and biotechnology, and a Master of Education program. Through our Berkshire Hills Internship Program (B-HIP), students work at nearby cultural institutions like Massachusetts Museum of Contemporary Art (MASS MoCA). Our educational philosophy is that students learn best by actively participating in their own educational opportunities for independent study, service learning, and study abroad. Ramapo's mission as the "college of choice for a global education" is guided by four strategic principles, including international and multicultural education, interdisciplinary, and experiential learning. These principles are supported by a commitment to liberal education and strong partnerships with schools, communities, universities, and businesses world-wide, which provide off-campus education at distant sites via telecommunications, cooperative education, internships, and study abroad. The college was founded in 1969 and rests at the foothills of the Ramapo Mountains in northern New Jersey, only 25 miles from New York City. Ramapo enrolls approximately 5,600 students. Shepherd University shares the hallmarks of our COPLAC peers: an excellent education at an affordable price, a modern feel combined with a traditional education, and an individualized approach in the classroom. Shepherd’s quality educational experience enjoys a private liberal arts feel at a public university cost. Offering a challenging and rigorous curriculum, Shepherd professors have high expectations for students but also provide strong academic and personal support. An array of new buildings, including a $21.6 million Wellness Center, a $22 million Center for Contemporary Arts complex, a $10 million nursing facility, and a $22 million residence hall, highlight the campus. Shepherd is located in the small historic town of Shepherdstown, West Virginia, rich in Revolutionary and Civil War history. Our home on the Potomac provides a gateway to the nearby urban centers of Washington, D.C., and Baltimore. The university also hosts leading American playwrights and professional actors each July for the Contemporary American Theater Festival. Competitive Division II sports programs offer student leadership opportunities on the field and court, and a strong commitment to service learning provides students with numerous opportunities to advance their communities. Nonsectarian since its founding in 1840, St. Mary’s College enjoys a unique status in higher education as Maryland’s public honors college. St. Mary’s College offers an undergraduate liberal arts education and small-college experience like those found at exceptional private colleges. Its spectacular waterfront setting in the heart of the Chesapeake Bay region, 70 miles southeast of Washington, D.C. and 95 miles south of Baltimore, also enhances the College’s uniqueness. St. Mary’s success is rooted in its identity as a small, coed, residential community of scholars. About 1,700 men and women attend St. Mary’s College. It is a highly residential campus, with nearly 85% of its undergraduate students living on campus in townhouses, suites, apartments, and dormitories. 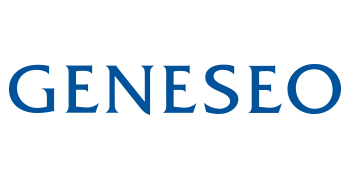 Geneseo is a selective, primarily undergraduate institution of 5,197 students (5,063 full-time undergraduates). Thirty-eight buildings dot the 220-acre campus located in western New York. A distinctive college of the State University of New York, Geneseo was founded in 1871 as a normal, or teacher training, school. It now offers a broad range of liberal arts and sciences programs, teacher preparation, and other professional programs at the undergraduate level. Its graduate programs address career development needs and professional certification requirements. The mission of the college is to foster in its students the abilities and dispositions essential to responsible members of society. University of Maine at Farmington—a nationally-recognized liberal arts college known for its commitment to student success—offers quality baccalaureate programs in teacher education, human services, arts and sciences and pre-professional programs, and a Master of Science in Education graduate degree program. A place where outstanding faculty work side-by-side with students, UMF offers many of the same advantages as New England’s most selective private colleges—yet at an affordable price. Small class sizes, a close student-to-faculty ratio, and valuable hands-on learning opportunities are the keys to its success. Limited to just 2,000 students, UMF is located in the heart of Maine’s four-season outdoor recreation region, featuring world-class skiing, kayaking, hiking and more. UMF has been named one of “America’s Best Colleges” by U.S. News & World Report for 16 consecutive years and is featured in “Student Success in College: Creating Conditions that Matter,” as a model of educational effectiveness. Georgia College is Georgia's designated public liberal arts university. Located in the heart of historic Milledgeville, the antebellum capital of Georgia, GCSU is committed to combining the educational experiences typical of esteemed private liberal arts colleges with the affordability of public higher education. Founded in 1889 as Georgia Normal & Industrial College, with a blend of majestic red brick buildings and white Corinthian columns, the campus appeals to those seeking a classic academic environment in which to pursue their education. Approximately 6,500 are enrolled in more than 80 degree programs, at undergraduate and graduate levels. Classes are offered by a faculty dedicated to teaching and research while fostering excellence in the classroom and beyond. Academic requirements for degree programs are designed to prepare students for careers or advanced study and instill them with exceptional qualities of mind and character. One distinctive feature of GCSU is a core curriculum emphasis on required interdisciplinary studies courses in which students have the opportunity to integrate aspects of the liberal arts education through the study of problems and topics too broad to be fully addressed in any one discipline. Chartered in 1890 as a private liberal arts college, Henderson State University is now Arkansas's public liberal arts university. True to its distinguished century-long tradition, Henderson is committed to the advancement of knowledge and to the personal, social, and intellectual growth of its students. The university offers exemplary undergraduate, graduate, and selected pre-professional programs in arts and sciences, business administration, and teacher education to a diverse student body. Henderson, dedicated to the idea that a liberal arts education is essential for all undergraduates, regardless of educational interest or specific majors, has developed a required comprehensive core of courses in the arts and sciences. The university strives to maintain a standard of excellence in all its academic programs. Students and alumni have achieved national and international recognition, including Rhodes, Fulbright, and Rotary Ambassadorial scholarships. Founded in 1960 as a private, residential liberal arts college for academically talented students, New College of Florida today is the state’s undergraduate liberal arts honors college. All of the college’s approximately 780 students are full time. The diverse student body heralds from 39 states and 18 different countries and is attracted by educational principles that emphasize student responsibility in the learning process, independent study and research, and joint student-faculty engagement. New College’s distinctive “academic contract” system, in which students and faculty members collaborate to develop individualized academic plans, puts these principles into practice for each student. New College ranks among the highest per capita producers of Fulbright Scholars and is one of the nation’s leading colleges when it comes to placing students in top doctoral programs in law, medicine, science, the humanities and business. Graduation requirements include satisfactory completion of seven semester-long academic contracts, three independent study projects carried out during January Inter-terms, a senior thesis and an oral baccalaureate examination. The University of Mary Washington is a mid-sized, coeducational public institution that combines rich history and tradition with academic achievement and community service. Nationally ranked as one of the top liberal arts colleges in the country, Mary Washington’s curriculum is rigorous, focusing on preparing students for successful careers. The University of Mary Washington campus is located in the picturesque, culturally diverse city of Fredericksburg, Virginia, only a short drive from Washington, D.C. and Richmond, Virginia. Quite simply, the University of Montevallo has no equal in Alabama. As the only public liberal-arts university in the state, Montevallo enjoys its singular status as a draw for some of the state's brightest young minds. With an enrollment of some 3,000 students, Montevallo represents the triumphant fusion of tradition and progress. In its 2014 "America's Best Colleges" edition, U.S. News & World Report once again ranked the University as the No. 1 public master's-level university in Alabama, a distinction it has held each year since 2008. For 2014, Montevallo is listed as the 15th best public university in the South in its division and 36th overall in the South, up 23 spots from its 2007 ranking. Schools in 12 states make up the South geographic region. The 160-acre campus features more than 50 buildings surrounded by lawns, groves and flowerbeds. The central portion of the campus is a National Historic District and 28 buildings are listed on the National Register of Historic Places. Four colleges - the College of Arts and Sciences, the Michael E. Stephens College of Business, the College of Education and the College of Fine Arts - make up Montevallo's broad fields of study. The current student/faculty ratio is 16 to one. The University of North Carolina at Asheville provides the kind of education that changes lives and inspires others to do the same. As the only designated liberal arts institution in the 17-campus University of North Carolina system, we serve students who are prepared for academic challenges by offering an intellectually rigorous education that builds critical thinking and workforce skills. Enrolling 3,800 students and offering more than 30 undergraduate majors and a Master of Liberal Arts and Sciences degree, UNC Asheville encourages students to take part in a nationally acclaimed undergraduate research program and participate in interdisciplinary learning. Our students develop a strong sense of social responsibility through service learning and volunteer activities. From internships and hands-on projects, to study abroad and community engagement, students experience an education that extends beyond campus into the vibrant City of Asheville, the surrounding Blue Ridge Mountains and the world. Founded in 1961, the University of South Carolina Aiken (USCA) is a comprehensive liberal arts institution committed to active learning through excellence in teaching, faculty and student scholarship, research, creative activities, and service. In this stimulating academic community, USCA challenges students to acquire and develop the skills, knowledge, and values necessary for success in a dynamic global environment. As a senior public institution of the University of South Carolina, USCA combines the advantages of a smaller institution with the resources of a major university system. 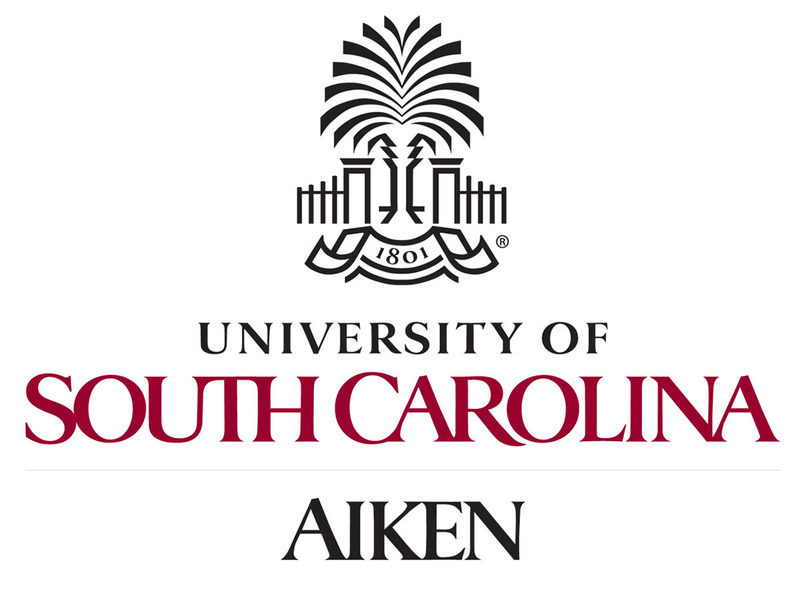 Located in beautiful, historic Aiken, South Carolina, USCA is an institution of moderate size (2,500-5,000 students) that offers baccalaureate degrees in a number of disciplines, completion baccalaureate degrees at University of South Carolina regional campuses, and master's degrees in selected programs. A public, located in the vibrant community of Wise, nestled amid the scenic Appalachian Mountains in southwest Virginia, our 396-acre campus is located 60 minutes from the Tri-Cities of Tennessee and Virginia. The only extended campus of the University of Virginia, UVa-Wise was founded in 1954 and is home to Virginia’s only undergraduate degree program in software engineering. Enhanced by a robust student life program, UVa-Wise offers 30 majors, 32 minors, seven pre-professional programs and 24 teaching licensures. The University of Virginia’s College at Wise seeks to provide students with the insight, competence, sensitivity, and integrity necessary for living enriched lives and enriching the lives of others. UVa-Wise is a diverse community of people who believe that information can be transformed into knowledge and that teaching and learning create a foundation for wisdom. Students consistently graduate with the lowest debt load of any liberal arts college in the nation, according to U.S. News and World Report. In 2006, UVa-Wise was selected for inclusion in “Colleges of Distinction,” which recognizes institutions for engaged students, great teaching, vibrant communities and successful outcomes. Truman State University, founded in 1867, is a nationally recognized public liberal arts and sciences university located in Kirksville, Mo. Truman is a residential university focused on providing broad liberal arts experiences and depth of study in 49 undergraduate majors and seven graduate programs. For 21 plus years in a row, U.S. News and World Report has recognized Truman as the No. 1 public university in the Midwest region — master's category and they consistently rank Truman in the top ten overall in the Midwest region among both private and public institutions. The Washington Monthly consistently recognizes Truman as one of the top 5 master's university in the nation while Kiplinger’s Personal Finance magazine lists Truman in the top 20 among the best 100 best college values in the nation. Truman has a long history of being recognized nationally by higher education experts for its assessment program and its commitment to providing a high-quality liberal arts and sciences education at an affordable price. Truman's 6,000 students benefit from a low student-to-faculty ratio and the highest retention and graduation rates of any public university in Missouri. Founded in 1970 as Sangamon State University, the University of Illinois at Springfield provides an intellectually rich, collaborative, and intimate learning environment for students, faculty, and staff, while serving communities local to global. The academic programs at UIS emphasize liberal arts, interdisciplinary approaches, lifelong learning, and engaged citizenship. UIS serves its students by building a faculty whose members have a passion for teaching and by creating an environment that nurtures learning. Our faculty members engage students in small classes and experiential learning settings. UIS uses technology to enhance its distinctive learning environment and extend that environment beyond the boundaries of the campus. As a leader in online learning, UIS broadens access to a liberal arts education. From its location in the state capital of Illinois, UIS shapes and informs public policy, trains tomorrow’s leaders, and enriches its learning environment through a wide range of public affairs activities, programs, and organizations. The University of Minnesota, Morris makes its home on a 126-year-old campus. The first buildings housed an American Indian boarding school. In 1909, the campus was transferred to the state with the stipulation that American Indian students “shall at all times be admitted to such school free of charge for tuition,” a policy still proudly honored. In 1910, the University of Minnesota established the West Central School of Agriculture on the Morris campus, which educated area high school students. In 1960, the University of Minnesota, Morris opened its doors and began fulfilling its institutional vision to be an affordable, undergraduate, small, residential, public liberal arts campus. The Morris campus enrolls about 1,700 students and grants bachelor of arts degrees in 34 majors. At Morris students are exposed to ideas, information, and ways of thinking that expand their minds and lives and lead them to their academic passion. Morris prepares them for advanced degree programs, for flexibility in their career, for lifelong learning, and for citizenship in communities around the globe. The University of Minnesota, Morris: a renewable, sustainable education. University of Wisconsin-Superior has a proud history of educational innovation dating to its founding in 1893. The university provides its 2,500 students with quality academic programs, small classes and a friendly, supportive atmosphere on a campus offering easy access to the forested beauty of northern Wisconsin and the shores of Lake Superior. Learning opportunities include more than 60 program offerings, online learning and continuing education programs. UW-Superior is known for professors who work closely with individual students as well as its emphasis on hands-on experience, undergraduate research opportunities, and innovative educational programs. Students can broaden their experience through a wide range of study abroad and study away opportunities and an academic service-learning program. The Senior Experience enables each student to cap his or her education with a project of significant scholarly or creative work. Fort Lewis College is a selective public liberal arts college offering top-quality and accredited academic programs in the arts, business, humanities, music, sciences, and theatre. 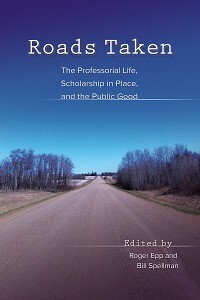 At FLC our focus is on undergraduate education, so our undergraduate researchers, performers, artisans, and authors make real and meaningful contributions to their fields. At Fort Lewis College, though, the best learning happens outside the classroom, with experiential learning opportunities utilize the Southwest's landscapes and peoples. Through field studies, undergraduate research, service learning, internships, and study abroad opportunities, students apply their coursework in meaningful, positive endeavors. Fort Lewis began as a federal Indian boarding school in 1892, and continues its historic mission by providing tuition-free education to Native American students. Founded in 1960 as a teacher education center for the North Bay, Sonoma State University is now a liberal arts and sciences institution dedicated to providing high-quality undergraduate education and selected professional graduate programs. The SSU educational experience fosters intellectual, cognitive, social and personal growth. The faculty and staff of Sonoma State provide close mentoring relationships and an education that fosters ethical exploration, civic engagement, social responsibility, and global awareness combined with a solid foundation in an academic discipline. Sonoma State University also serves as an educational and cultural resource for its region by offering courses, lectures, workshops and programs that are open to the public and by entering into partnerships with local businesses, industries, and cultural and educational institutions to enhance the quality of life in the North Bay and beyond. provide quality, innovative experiences for students. Visit sou.edu . While most colleges teach the same things in the same ways, Evergreen stands apart. Imagine studying art, science, history, writing and sociology in one integrated program focused on a central theme. Many students take just one 16-credit, team-taught interdisciplinary program per quarter (instead of four or five disconnected classes), studying with the same students and faculty for up to a year. In a full-time interdisciplinary program, homework and tests for one subject don’t compete with another and students don’t have to miss other classes to take field trips, work at an internship, or study abroad. Faculty give students feedback in narrative evaluations instead of reducing their hard work down to a letter grade. The focus is on learning and collaboration—often in small seminar groups—not competition for grades. Evergreen doesn’t limit student options with formal majors. Students can tailor their education to meet their needs and explore areas of interest without worrying that credits won’t count toward graduation. Later in their studies, students can also create customized learning opportunities. Evergreen is both a nationally acclaimed public liberal arts and sciences college and a Fiske Guides best buy. Total cost of attendance for non-resident students is less than tuition alone at many private institutions. Evergreen is located in Olympia, Washington’s capital city. Our 1,000-acre forested campus has a beach on Puget Sound, miles of trails, an organic farm, a Native American longhouse, and easy access to Olympia’s vibrant downtown. The Pacific Ocean, three national parks, and the urban scenes of Seattle and Portland, Oregon are just an hour or two away. Founded in 1922, Midwestern State University is one of four independent public universities in the state of Texas with its own Board of Regents. Located in Wichita Falls, halfway between Dallas/Ft. Worth and Oklahoma City, MSU enrolls a total of 6,300 students in 16 undergraduate programs with 43 different majors and 30 minors and 9 graduate programs with 24 different majors and 16 minors. MSU takes pride in the fact that it was the first public institution in Texas to establish a core curriculum. In addition, MSU offers integrated curricular and co-curricular opportunities for students and provides a superb liberal arts education at an affordable price. As an example of its commitment to affordability for all, MSU was recently designated by the Texas Higher Education Coordinating Board as one of only four institutions in Texas permitted to offer a significantly reduced tuition rate to all residents of the United States. This rate approaches the in-state rate. The highly competitive cost, the individual attention and quality instruction students receive from a dedicated faculty, and the beautiful campus make MSU a special place to attend, regardless of whether one is from the State of Texas, the Southwest, the United States, or from around the globe. Celebrating a century of service as Oklahoma’s only public liberal arts college, the University of Science and Arts of Oklahoma—nationally ranked for quality and value—is a recognized leader and innovator in interdisciplinary studies. Like the best private liberal arts colleges, USAO offers small classes, award-winning faculty committed to teaching (93 percent have the terminal degree), and a campus culture that fosters close faculty-student interaction and undergraduate research opportunities. USAO dedicates itself to educating the whole student, encourages personal development through public service, and offers intercollegiate athletics. The college was founded in 1908 as a women's institution, the first college created by Oklahoma's first legislature. Besides the University of Oklahoma, USAO has the oldest original mission of any state college or university in Oklahoma. Located in Chickasha, USAO is the only Oklahoma college to be named a National Historic District on the National Register of Historic Places. 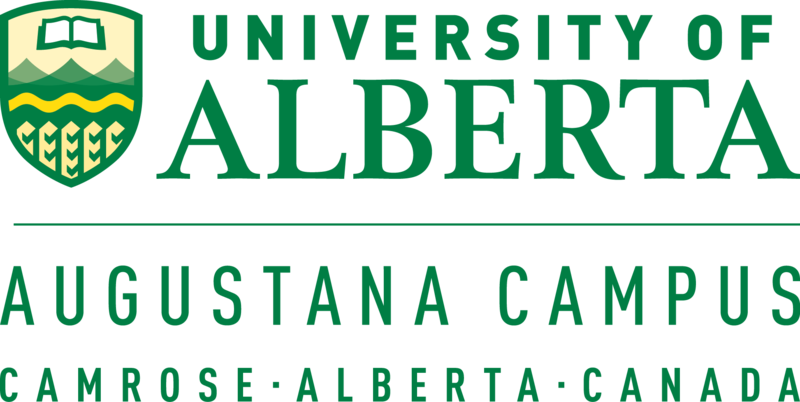 The University of Alberta's Augustana Campus is COPLAC's first Canadian member. Founded in 1910 by Norwegian Lutheran pioneers, Augustana was incorporated into the province's public higher education system in 2004. Its picturesque campus, located in the small city of Camrose, is home to about 1000 undergraduate students in arts, sciences, music and management programs. As a distinctive, residence-based campus of one of Canada's leading universities, Augustana is committed to building on its reputation for rigorous, high-quality teaching in the tradition of the liberal arts and, in doing so, providing a memorable, life-changing academic experience for students. Its strengths include a cluster of innovative, interdisciplinary experiential learning opportunities in international and wilderness settings. Reflecting its Scandinavian heritage, its athletics program includes cross-country skiing and biathlon, and its athletes in those sports regularly form the core of Canada's World University Games team. In recent years, Augustana has taken seriously its mandate to serve its community. It has built active working relationships with civic government, health and cultural sectors, and has pursued new ways to serve the rural region in which it is located.